Oglethorpe Family Dental LLC provides quality general and cosmetic dentistry services to patients of all ages in a comfortable and pleasant environment. We utilize state-of-the-art equipment to offer a wide range of dental services, including teeth whitening, veneers, crowns, root canals, dental implants, and more. 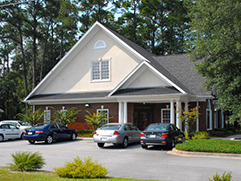 Located in Hinesville, GA , we pride ourselves on being a patient-centered dental practice. Each patient is treated with respect, dignity, courtesy, and kindness. At Oglethorpe Family Dental LLC, we have earned the loyalty of our patients, many of whom have been with us since our inception. We understand that each of our valuable patients has a choice to make, and we are extremely excited that you have chosen us! Thank you for visiting our website. On these pages you will find valuable information about us and our services. Whether you are a new or existing patient, if you have any questions feel free to contact us at 912-877-3070. We look forward to hearing from you!